So many people continue to worry about their credit cards being stolen from their purses, wallets or vehicles, but the reality is that physical credit card theft has seen a sharp decrease in recent years as would-be thieves begin to use more sophisticated ways to hijack your financial information. Rather than risk detection and capture for one person’s credit card, many thieves have developed tactics that can allow them to collect dozens, hundreds or even thousands of credit cards’ information in a short period of time. In order to be vigilant in this regard, you must first know how this can happen and what the signs are that your information may be in jeopardy. Below, we will outline a few of these scenarios for you to consider. All too often, credit card theft occurs at our favorite stores and restaurants – by the very people who work there. In many cases, you will hand your card over to the individual in order to pay for your food or products. The worker will then proceed to ring up your charge, but will also swipe your card through what is called a skimmer, which stores all of your credit card information. Said individual may be able to do this with dozens of credit cards each day. While it is impossible to interrogate or otherwise verify that each employee of an establishment is not a thief, you can be proactive and ensure damage is not done to your account by monitoring online statements at regular intervals or by setting up purchase alerts. 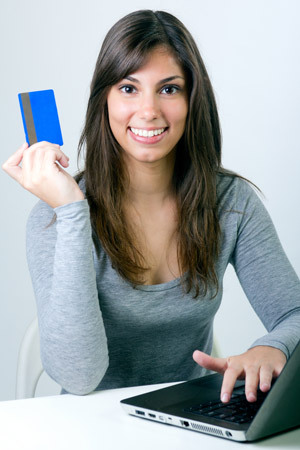 This method of credit card theft has become increasingly common but is usually easy to thwart. You are having breakfast one morning and suddenly your phone rings. On the other end of the line is your “credit card company”, who reports that there has been a problem with your account and will need your credit card information in order to rectify the situation. Never, ever give out your credit card information over the phone unless you have explicitly contacted the credit card company first! Your credit card company will not call and ask for such details (and in many cases, they spam call people who do not even have cards with the issuer in question), so be on the lookout for these scammers. Many would-be thieves love to strike in areas where automated credit card readers are used. This can be virtually anywhere these days, but gas stations are a prime target. Thieves use a device known as a skimmer – which can be fitted over the traditional credit card scanner – that can then collect and transmit dozens of credit cards’ information to a nearby mobile device. The would-be thief then downloads this information and proceeds to either use it or sell it to an interested party.